What make you fit with your body when you get into your golden age? And another important consideration will be your financial fitness. Do not make age as an excuse but try your best. A lot of people did not realise about their capability until they try it. For a promotion and increment in your job, there is no fix rule to limit oneself from carrying out a senior post even his age is younger than ever in a company’s employment history. Work smart to perform in the job will save lots of time to reach the level of higher income. Every five years that a person delays in investing for retirement will double the monthly investment required to catch up. Aggressive investment should start when you are young. Unit trusts, properties, stocks and partnering business are a few ways that could be rewarding. Of course, that must be accompanied by careful and smart planning. Another rule is to socialise and make friend with people on the top of your field. Get to know these people and hear from them the success money earning stories. It shortens your way to make big money without scratching your head. When you earn, you will naturally spend. It is fine, but balance is the key. Practice to put some money for saving every month. Allocate 5 to 10 percent for this purpose. Minimise the credit amount on your credit card bills. Zero balance reflects healthy financial status. It is not about stingy but or rather a financially responsible habit. 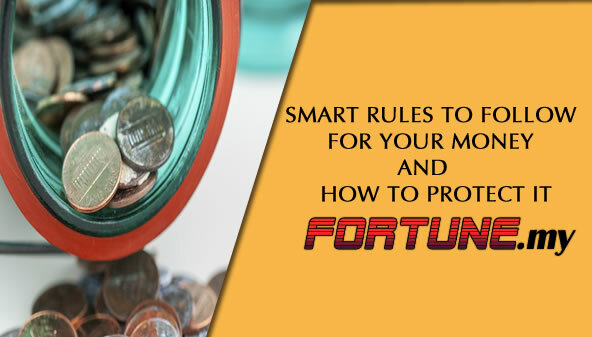 We have discussed about earlier in our personal finances articles that your money will be lower in its value against inflation if it is not invested wisely. Putting your money in a bank account with low interest rate would not generate return that is on par with inflation. On the other hand, property investment is sound and profitable. Properties’ value increases as the same rate as inflation, in a way provide you a more guaranteed return. Grab the golden opportunity now if there is for a reduced price property. Property prices are expected to move up as positive growth and good economy performance is present heading towards recovery at where it was before crisis. Competitively a lot of banks are coming out with attractive unit trusts schemes. Consideration is the permission of EPF members to invest part of their savings in unit trusts. You would not have used your EPF money unless you reach the age of retirement. Good thing is, now this spare money can be used for investment in an earlier stage. But the advice is, proper homework must be done before selecting a company’s unit trust. Unit trusts provide a low risk return over a period of time as compared with stock market which has high rewards, but relatively high risks. Under the season of upcoming public election and positive market news, increasing the value of your money for profits may be appropriate now. Again, this has to be achieved with the provision of proper selection of stock unit. After all, it is your hard-earned cash.